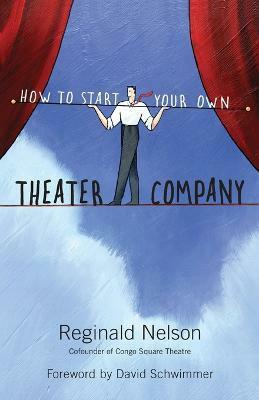 With hands-on advice and instruction from an experienced actor and theater director, this pragmatic, authoritative guide to starting a theater company imparts essential backstage know-how for would-be playhouse practitioners on everything from fundraising and finding a space to selecting plays and successfully navigating tricky legal issues. Chronicling three seasons at Chicago's award-winning Congo Square Theatre Company, this journey behind the curtain reveals the nitty-gritty details of practical issues that are often overlooked amidst the zeal of artistic pursuit, such as how to manage rent, parking, and safety issues; determine tax status and calculate budgets; and find flexible day jobs to help foster artists' creative passion. The guide also provides in-depth analysis of undertaking lofty projects--such as managing a coproduction with a large, established theater, as Congo Square did with Tony Award-winning Steppenwolf Theatre Company--and addresses potential drawbacks, such as handling common weaknesses of the "artistic temperament" that can often lead to a business venture's undoing. Inspired by Congo Square's own unique inception, the valuable how-to also speaks directly to the many underserved niche audiences who decide to create their own companies, including African American, Asian American, Latino, physically challenged, and GLBT communities. Concluding with lists of Equity offices, legal advisers, and important organizations for assistance, this complete resource is sure to help ambitious theater lovers establish and maintain their own successful companies. Reginald Nelson is the founding board president and former managing director of Congo Square Theatre Company in Chicago. As an actor, he has worked with the Chicago Shakespeare Theater, Court Theatre, Goodman Theatre, Lookingglass Theatre Company, Milwaukee Repertory, and Steppenwolf Theatre Company. David Schwimmer is an actor who has appeared in numerous films and TV seriesincluding "30 Rock," "Band of Brothers," "Friends," "Madagascar," and "Six Days Seven Nights"and the director of "Run Fatboy Run." He is a cofounder and an ensemble member of Lookingglass Theatre in Chicago. "